The ping post process and the ping post systems that execute it are pretty well known in today’s lead generation industry. If you operate in the insurance, home improvement or auto finance industries, you are probably well versed in ping post. While the ping post process revolutionized the lead industry several years ago, this once new technology has not simply stood still. With more lead buyers and sellers using ping post and the development of new ping post processes, more sophisticated options are available than ever before. If you’re not up to date on the latest technology in the world’s best ping post systems, here’s what you’ve missed. Don’t just speculate how much increasing or decreasing your bid on particular pings will affect your buying volume or revenue. Test it. With ping post bid experimentation, you can finally optimize your bidding strategy to align with your goals and to test the viability of different bidding structures. Buying And Selling Leads Exclusively Vs Non-Exclusively. Which option is better? The answer is always, “it depends”, but with the right ping post system, you can dynamically pick the option that maximizes your revenue on every single lead. Known by boberdoo as Ping Post Scenarios, ping post systems can be programmed to calculate, in real-time, whether each ping would net you a higher revenue when sold exclusively vs non-exclusively, which allows you to adjust your bid and selling price accordingly. Without making any manual adjustments, you can always know you are maximizing your profit on every lead. One common issue with ping post is attempting to sell a lead to two or more separate buyers who are planning to resell the lead to the same lead buyer. In this scenario, Buyer A will accept the post and sell to his/her buyer(s). However, Buyer B will reject your post attempt because he/she cannot sell to the same buyer that Buyer A sold to. This eliminates your ability to sell your lead the maximum number of times. However, ping post systems can now require your lead buyers to return hashed values representing the lead buyers they plan on selling to. 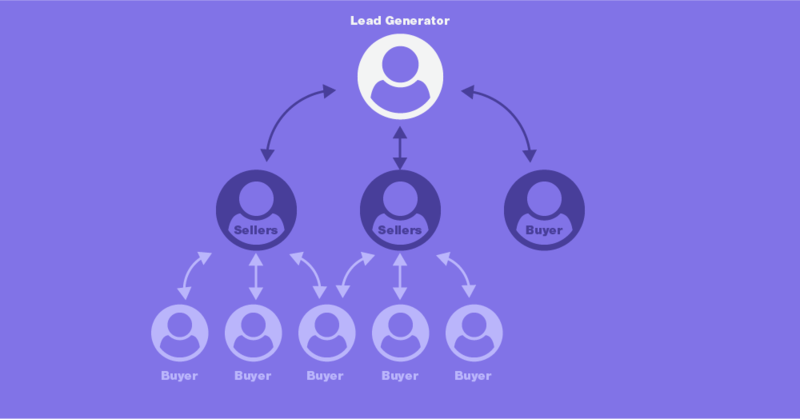 This allows your system to predict which of your buyers will reject your post based on duplicate leads to shared buyer and only attempt to sell to lead buyers who will accept your post. Another common occurrence in the ping post process is receiving two separate pings for the same lead (often identified by two fields such as Zip+Project in home improvement) in quick succession from two unique sources. In this scenario, you would ping Buyer A twice (for the pings received from each source). However Buyer A would only respond to the first ping received, because each subsequent one would be considered a duplicate. This is not ideal, because it limits you to only buy from source 1 instead of being able to send a bid for each ping. The solution to this problem is to pool these duplicate pings (instead of pinging Buyer A twice) until you receive a response to Ping 1. Once you receive the response, your ping post system can use Buyer A's response to account for a single leg of all potential legs available between Ping 1 and Ping 2 and build your best pricing scenario accordingly. Once again, this allows you to maximize the efficiency of your ping post process and ensure you are always selling every lead for its maximum price. We can’t actively predict the logic every ping post user will need. However, at boberdoo we specialize in customizing the ping post process to meet our clients’ exact specifications. If you have a specific ping post use-case, we would be happy to dig through our knowledge base to see if we have an existing solution for it. If we don’t, we are always happy to scope a custom project to get your ping post process working to your exact specifications. At boberdoo, we take great pride as technology pioneers in the lead generation industry. Our ping post system is not only the most reliable in the industry, but also infinitely flexible. If you are a high-volume ping post user or if you require any sophisticated automation from your ping post system, you can do no better than boberdoo. Give us a call at 800-776-5646 to get started or fill out the form below.